Prevents erosion or spillage for: windy areas, rainy areas, high-traffic areas, slopes, driveways and pathways, planting beds, and around trees. Preparation: Pull weeds and remove any undesirable debris from mulch area. Then, rake if necessary and spread to create even coverage. Use Hippie Mulch Color, if desired, to brighten faded mulch. Do not spray glue on mulch that is wet, or if rain is in the immediate forecast. Do not spray when conditions are windy. Shake bottle for at least one minute, or until contents are uniform. If using 32. oz. size, begin spraying from original container. For other sizes, pour Hippie Mulch Glue into 1 or 2 gallon garden sprayer and cap sprayer tightly. Keeping the sprayer nozzle 3-6 inches over the surface, extend arm and spray mulch while moving arm in a back and forth motion for complete coverage. 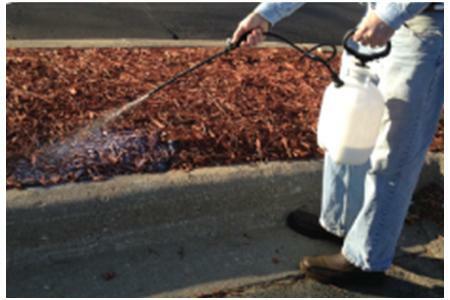 Shake the sprayer periodically during application to ensure an even distribution. Always start in the far end and work backwards to avoid walking in the Hippie Mulch Glue unnecessarily. Hippie Mulch Glue usually dries in just a few hours but is weather dependent, so it is recommended to allow it to dry overnight. A second coat of Hippie Mulch Glue may be applied to improve adhesion in certain areas. This should be done after the first coat has dried. 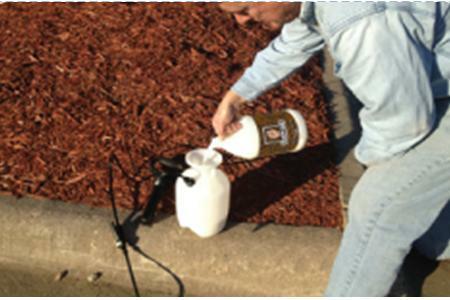 When you are finished spraying your mulch, always clean out your sprayer outdoors in the grass. Refill sprayer with water, and continue to spray in order to completely clean out contents. Do not store unused glue in the sprayer, as it can clog the sprayer. Once Hippie Mulch Glue is applied and dried, it is completely safe for people, pets, plants, and the environment. No worries. Do not apply if air temperature is below 50 degrees F. Do not spray the freshly coated mulch directly with water as it can lose its adhesion. Hippie Mulch Glue has a shelf life of 9 months in the bottle. Do not allow to freeze. 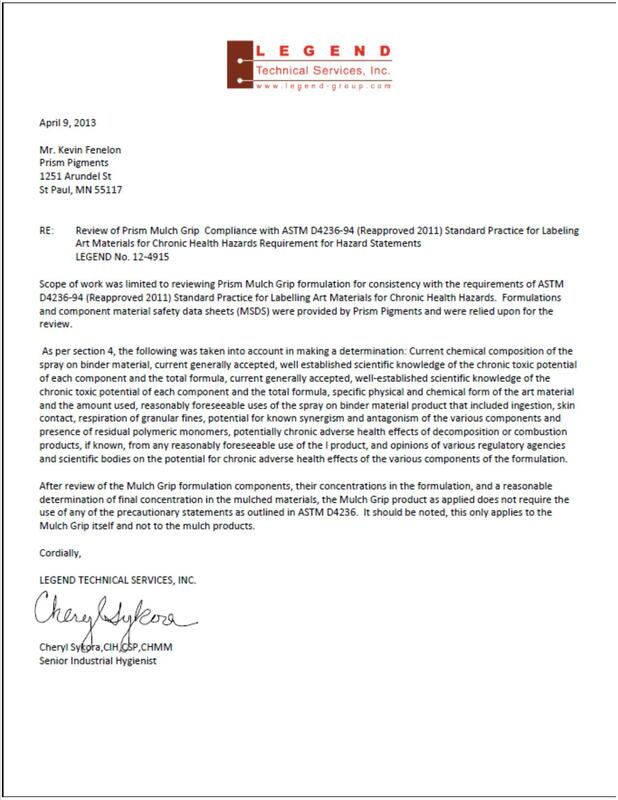 Once dry, Hippie Mulch Glue is completely safe for kids, pets, plants, and the environment, as certified by Legend Technical Services, Inc., an independent technical laboratory specializing in environmental testing.